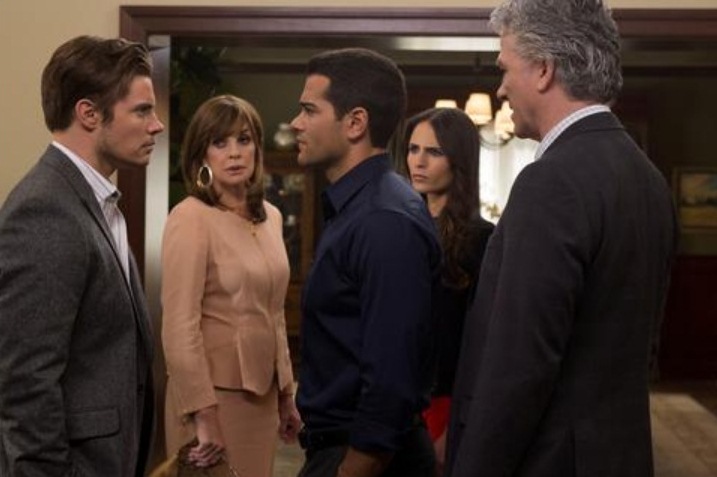 TNT has renewed the hit drama series Dallas for a third season. Produced by Warner Horizon Television, Dallas centers on the Ewing clan, an enormously wealthy Texas family whose sibling rivalries, romantic betrayals, corruption and even murder are truly legendary. TNT has ordered 15 episodes for the third season, which is slated to launch in early 2014. Dallas launched on TNT last summer and ranked as basic cable’s #1 new drama of 2012 with key adult demos. In its second season, Dallas has averaged 3.8 million viewers in Live + 7 delivery, with 1.6 million adults 25-54 and 1.4 million adults 18-49. Created by David Jacobs and developed by Cynthia Cidre, Dallas is executive-produced by Cidre, Michael M. Robin and Robert Rovner. The series is shot on location in the title city. I was a wee bit rough on them in my second season critique this week but I’m definitely pleased to learn that we’ll have another round of Ewing drama next year. See y’all then! I can not wait for the third season Dallas.Is my favorite ever ! I have two of my favorite seasons on DVD and do the same thing. You’re ahead of me! That`s great Can`t wait keep it going please It is very boring on TV without it. thanks. Are they all coming back and will Victoria Principal maje a guest appearance hope so. It looks like everyone’s on board for season 3 except Victoria. She just doesn’t want to step into Pam’s heels again no matter how much we beg. Also wish Pam would make a guest appearence on at least one show anyway. I do like Ann she is good for Bobby.. I saw the commercial about Dallas, and when the TNT logo went from small to large, I say “Boot Sweat!” (no particular reason). Hagman has boots. I just purchased the 2nd. season of New Dallas from Amazon will be coming out in February 2014 can`t wait. Sign up for Southfork Scoop! Flashback Friday: Philandering J.R. Ewing slept here… there… and everywhere! Flashback Friday: Will Pam Ewing Return to Dallas as Rebecca's Mother? Flashback Friday: When Bobby loved Pam ... and Jenna Wade. Flashback Friday: Is Dallas villainess Katherine Wentworth the mother of Rebecca and Tommy Sutter? My version of the opening titles… Love that Dallas theme!